Have you ever wondered why gold is so valuable? It’s a decent conductor, but copper and silver can do that job just as well. You can’t use it to make weapons or armor, because the metal is too soft. So, why do we go so crazy over it? Probably because it’s rare, pretty and it shines like a rockstar! Wait, of course there’s a makeup that will make you sparkle! 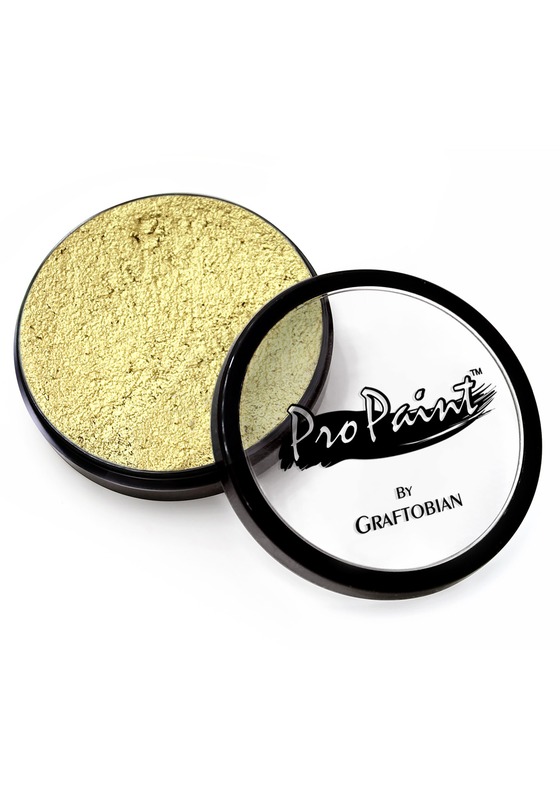 This deluxe gold makeup is a theatrical grade makeup that’s the color of glittering gold. You can apply it to your face and body and it’s designed to be easy to remove. Just use regular soap and water to wash it off when you’re done shining. It’s also fragrance free. You can use this gold makeup for all of your costume needs, or you can just use it when you want to shine like a magnificent bar of gold from Fort Knox!